Montreal's Shabu Recordings brings us the newest release from Scott Edwards, known to many as the man behind the alias of Avus. Following the success of his Poppy EP, which was released on Border Community in 2010, Avus continues down the Krautrock-inspired path of melodic synthesis that drives his signature analog sound with Monterrey Sunrise. The EP is a six-track body of work containing four Avus originals as well as remixes from Falling From Cloud 9 and VNDL. The highlight of the EP is undoubtedly the project's title track, "Monterrey Sunrise." The allusion of dawn light in the track's opening theme creates a beautiful sunrise like experience, encouraging listeners to look forward to the day ahead. The analog buzzes of this melodic theme are carried through chugging subtleties of percussive kick sounds, creating forward movement and evoking positive ascension into the future. It's tough not to be continually excited by the building of "Monterrey Sunrise," as the 7-minute track guides listeners through an experience glowing with positive consciousness. In addition to the powerful melodies of "Monterrey Sunrise" and "Darkness Visible," Avus also demonstrates his more technically rhythmic side in the analog squelches of percussion in "Ill" and "Burned," though each track on the EP shines under its own colour of light. Falling From Cloud 9 cranks up the tempo for a creatively chaotic version of "Ill," while VNDL spaces out "Monterrey Sunrise" into a wide-spanning work of textures and manipulated guitar samples, both remixes adding their respective explorative integrity to the EP as a whole. 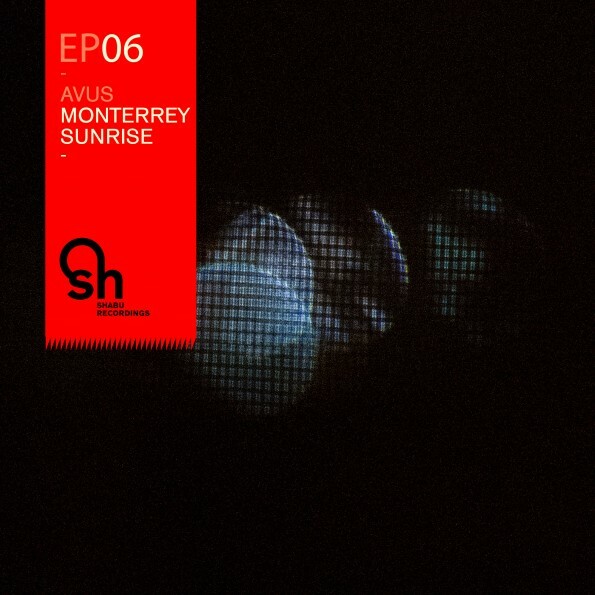 Monterrey Sunrise is another great release from Avus; within it, fans of forward-moving music and works of strong melodic depth will find many reasons for repeated listening.